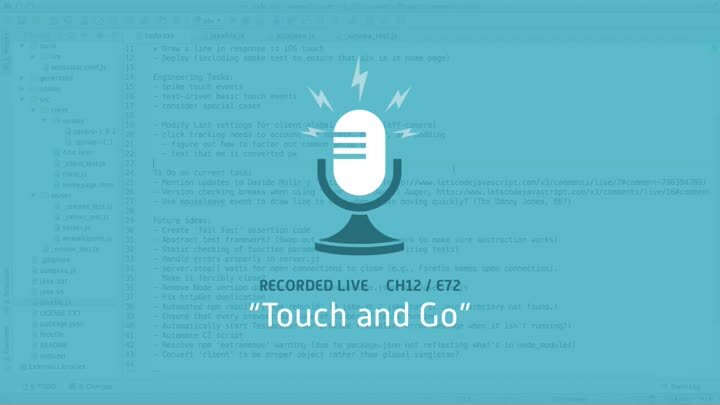 We’re ready to test-drive touch events! We review a few interesting new comment threads that have popped up (one on automatically running Jake, the other on parsing Node version strings), then get to work. The main challenge is in simulating touch events. JQuery doesn’t support ’em, so we go back to the core DOM API for creating events.